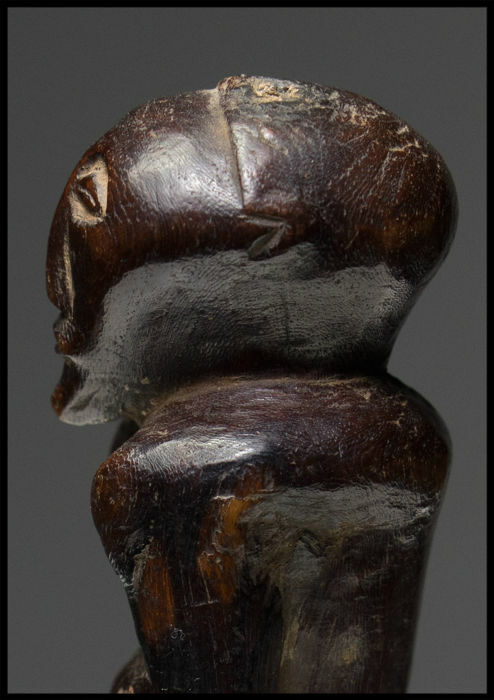 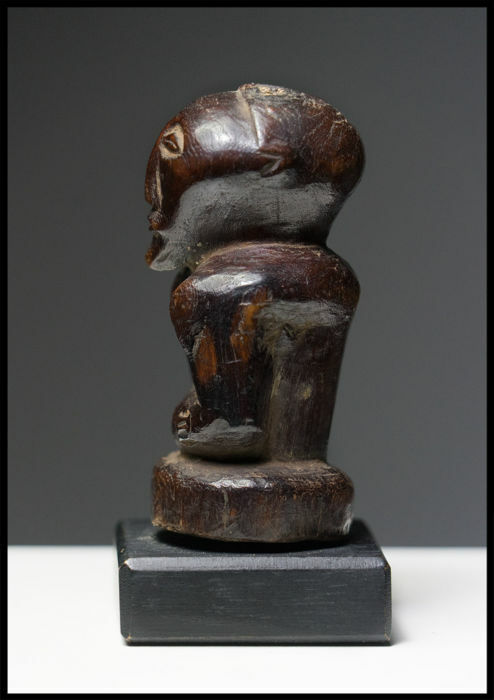 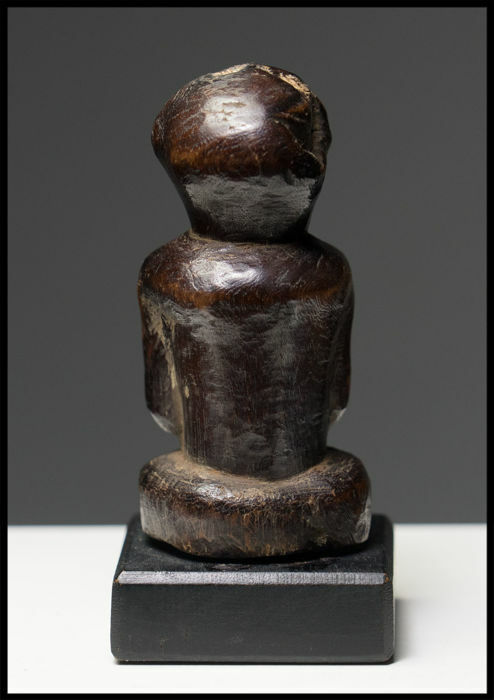 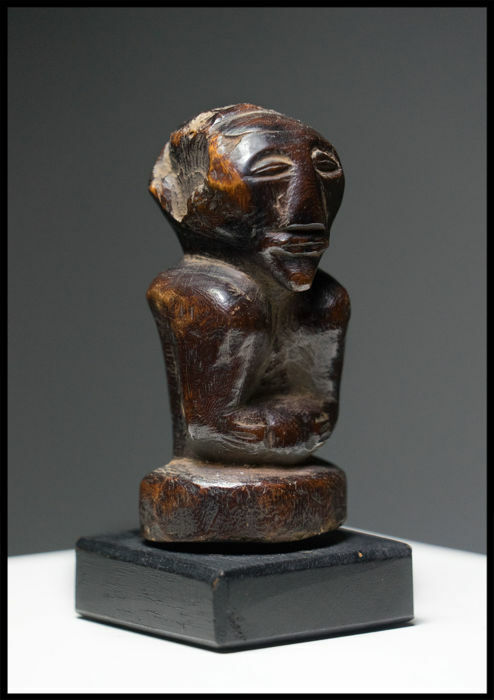 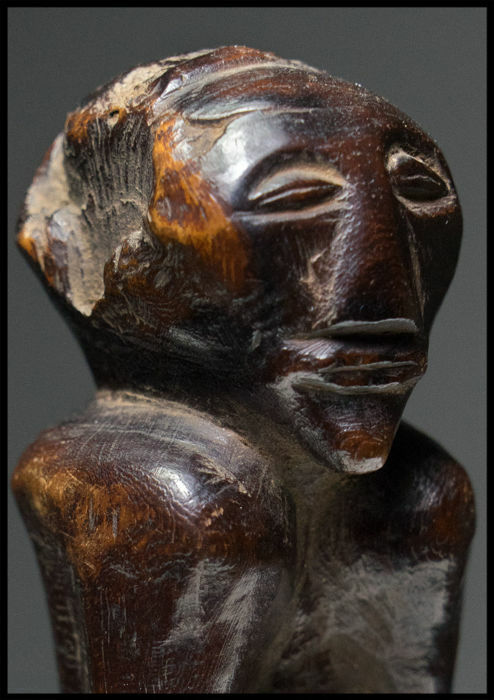 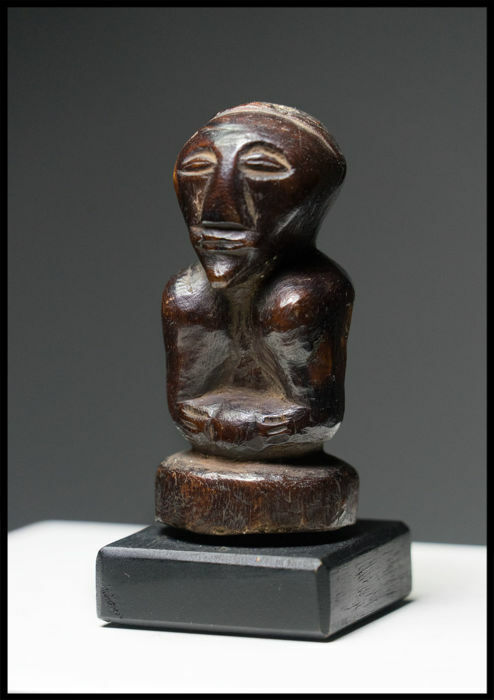 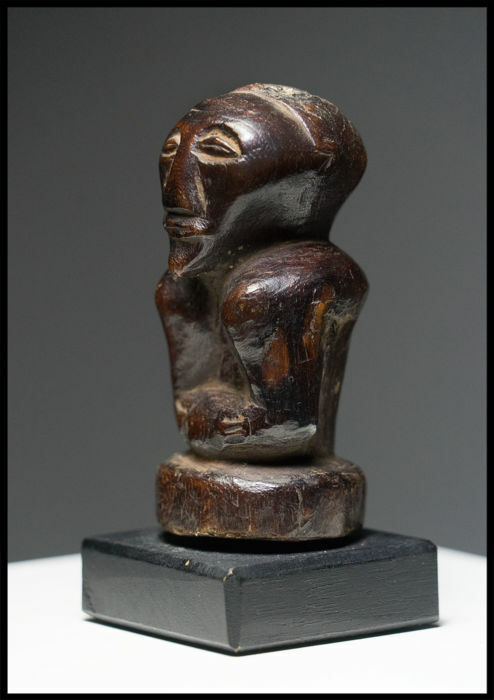 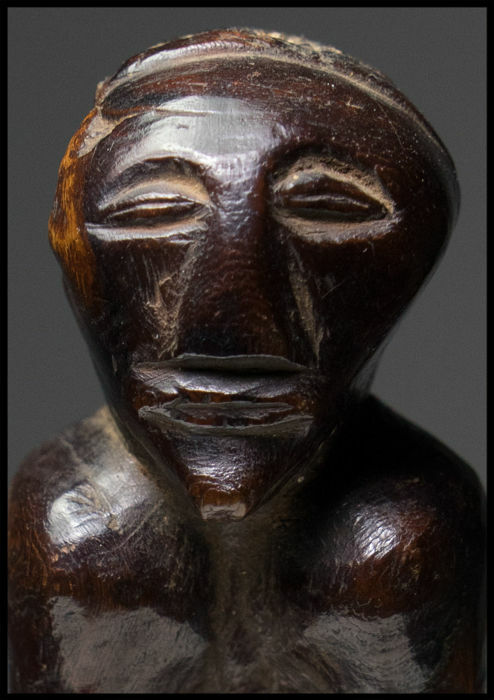 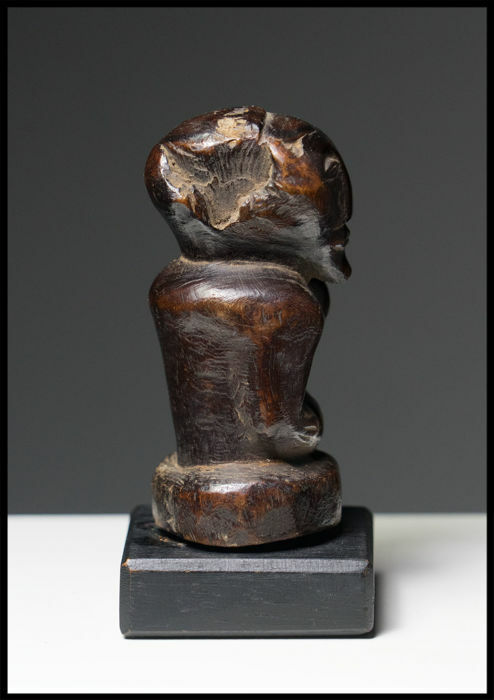 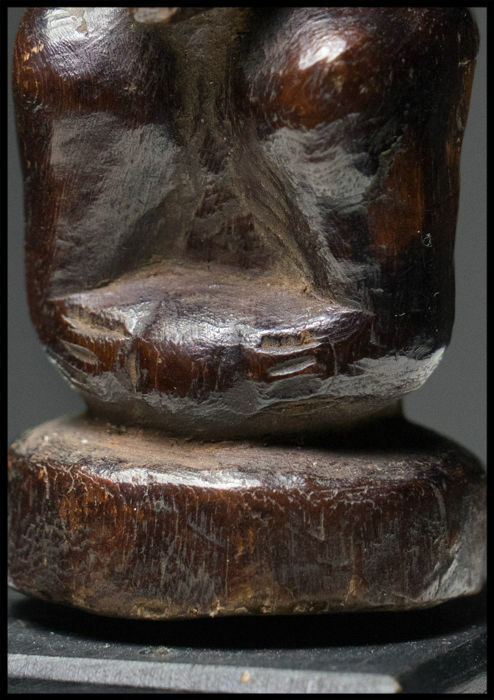 A small, stylistically fantastic and very well worked ‘nkisi’ power figure from the Songye in the south east of central Congo. 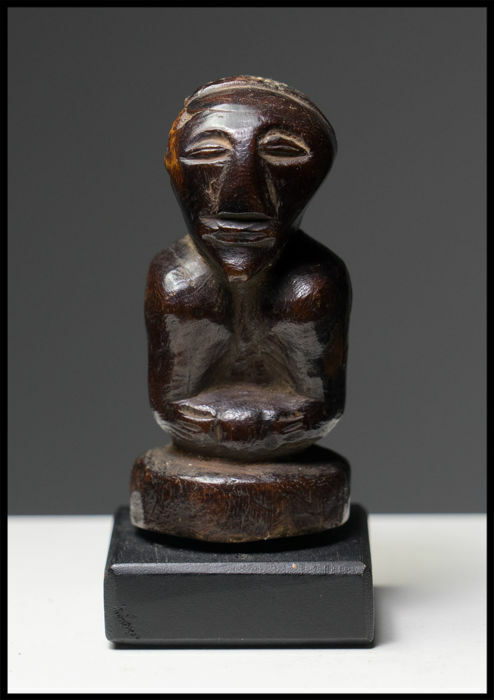 'Nkisi' are sculptures for power and protection; they are said to protect against illness, sorcery, theft and general misfortune, as well as ease births. 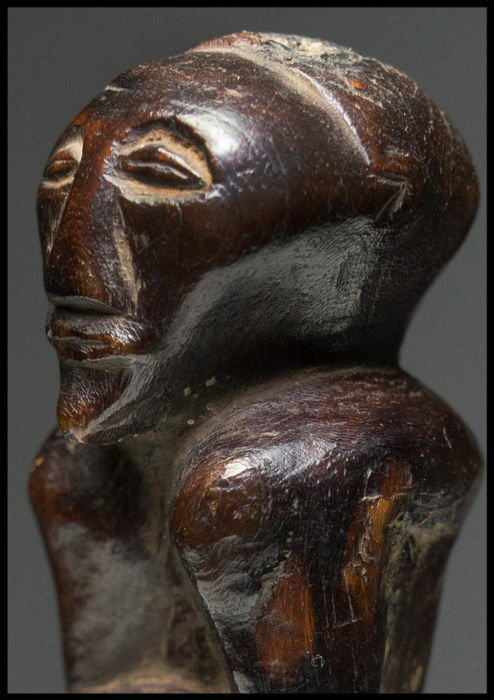 An extremely nice figure with a good red-brown, shiny patina. 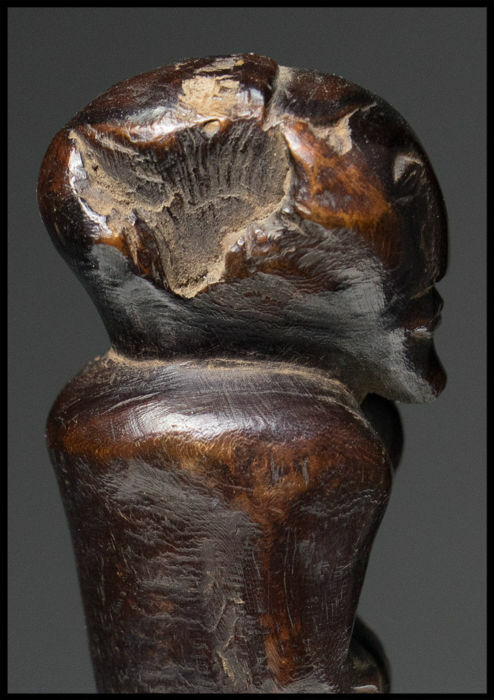 Signs of wear and tear with cracks from drying out.